The United States Mint’s newest America the Beautiful quarter dollar honors a federally preserved portion of an island in the state of Georgia. 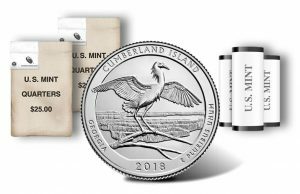 Debuting today, Aug. 27, are bags and rolls of 2018 Cumberland Island National Seashore Quarters. 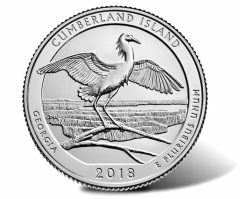 Several coin events next week will celebrate Cumberland Island National Seashore, Georgia’s largest and southernmost barrier island which was established in 1972 to maintain one of the most ecologically diverse areas along the Atlantic coast. 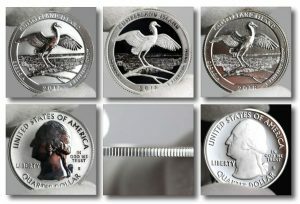 The United States Mint unveiled the final reverse designs for its 2019-dated America the Beautiful Quarters® and counterpart America the Beautiful Five Ounce Silver Coins. The designs were unveiled Tuesday, Aug. 14, at the ANA’s World’s Fair of Money® in the Philadelphia. 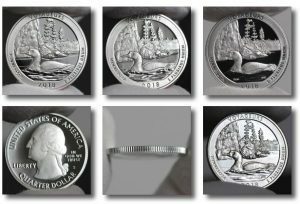 Proposed designs were reviewed and several were recommended for the 2020 and 2021 America the Beautiful quarter dollars and companion five-ounce silver coins. 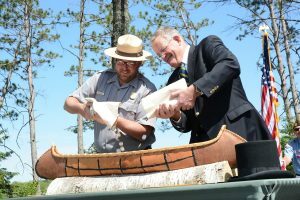 Last week on Thursday, June 14, quarters honoring Voyageurs National Park in Minnesota were formerly introduced to the public. 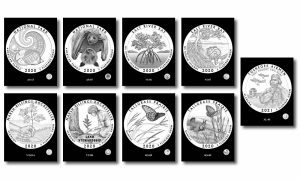 Voyageurs National Park Quarter Three-Coin Sets go on sale today, June 19. They will be available from the United States Mint beginning at noon Eastern Time for $9.95. 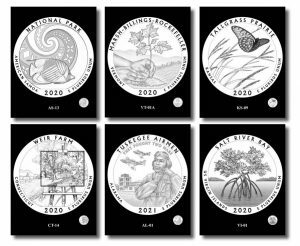 The United States Mint released design candidates for the 2020 and 2021 America the Beautiful quarter dollars and companion five-ounce silver coins honoring national sites in American Samoa, Connecticut, U.S. Virgin Islands, Vermont, Kansas, and Alabama. 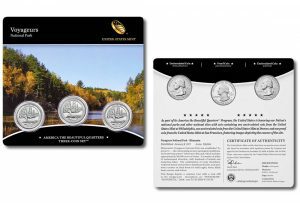 Minnesota’s national park, whose area is comprised of over 40% water, is commemorated in the newest release of the United States Mint America the Beautiful Quarters® Program. 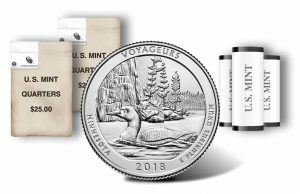 Debuting today, June 11, are rolls and bags of 2018 Voyageurs National Park quarters.